Biodegradable plastics and bamboo are hot trends for gloves, too. This week Design Week featured and article about biodegradable plastics and bamboo being hot trends. 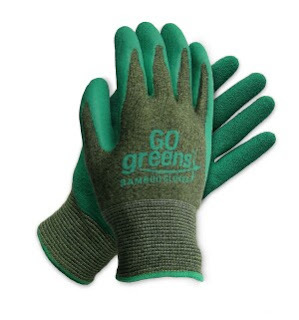 With our biodegradable packaging initiative and our GO Greens® Bamboo Gloves introduction in 2009 tells me we are headed in the right direction for the next decade. I hope you agree. Click on the title of this post to see the article. A recent e-zine by Industrial Safety Hygiene News discusses one of my favorite topics. Yours truly was featured in the interview section. This feature was sponsored by the IGA (The International Glove Association). You can see our own work with our GO Greens, too.